Fly a microlight aircraft .Make your dream come true! 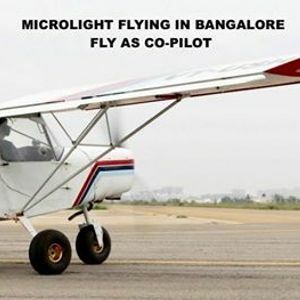 Fly a Microlight, Call for bookings at 9035003434. Almost everyone has flown in an airplane. How do you feel about actually flying one? 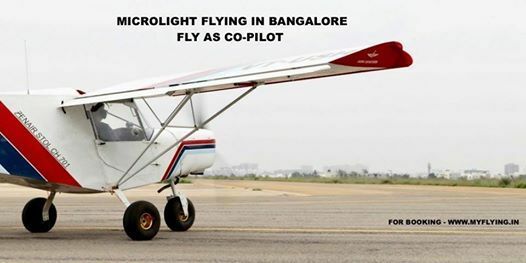 Turn your childhood dream into a reality because here is your chance to fly a microlight plane and literally float in the clouds. You taxi your plane on the runway and if you are up for it you might even be allowed to do the landing as well. Nothing can give you the adrenaline kick as this one! A microlight is an aircraft that is designed to carry up to two people and has a maximum take-off weight not exceeding 450kgs. These aircraft have relatively short take off and landing capabilities making them ideal for use at smaller airfields for recreational purposes. Some countries differentiate between weight shift and 3- axis aircraft, calling the former "microlight" and the latter “ultralight". • The experience availability is subject to favourable weather conditions.